Dr. Gretz is board certified by the American Board of Obstetrics and Gynecology in gynecology, and gynecologic oncology. He received his medical degree from New York Medical College and completed an OB/GYN residency at New York University Medical Center and a fellowship in gynecologic oncology at the University of Michigan Medical Center. He is a clinical associate professor in the Department of Obstetrics, Gynecology and Reproductive Science at Mount Sinai School of Medicine. He provides advanced surgical care, including minimally invasive and robotic procedures for benign and malignant gynecologic conditions. Some of these are fibroid uterus, endometriosis, ovarian cysts, ovarian cancer, cervical cancer and endometrial cancer. 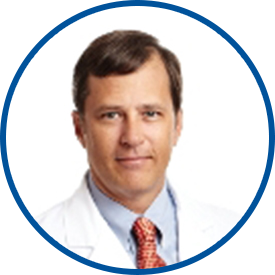 He is the former Director of Gynecologic Minimally Invasive Surgery at Mount Sinai, and Director of Gynecologic Oncology at White Plains Hospital. Dr. Gretz has published extensively and presented his research at national and international meetings. Dr. Gretz’ is affiliated with White Plains Hospital, Greenwich Hospital and The Mount Sinai Health System. Dr. Gretz is an excellent doctor in every respect! *Dr. Gretz was my surgeon in June. This was a good experience. He is a very competent surgeon. This recent visit was a 3-mos. follow up for check up. Everything was explained the way I could understand. I have total confidence in Dr.Gretz. I feel fortunate to be in the care of Dr. Gretz. He and his staff have always made me feel comfortable and confident.